The research is the first to demonstrate how lifestyle factors directly influence abnormal proteins in people with subtle memory loss who have not yet been diagnosed with dementia. 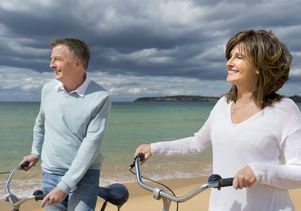 A study by researchers at UCLA’s Semel Institute for Neuroscience and Human Behavior has found that a healthy diet, regular physical activity and a normal body mass index can reduce the incidence of protein build-ups that are associated with the onset of Alzheimer’s disease. In the study, 44 adults ranging in age from 40 to 85 (mean age: 62.6) with mild memory changes but no dementia underwent an experimental type of PET scan to measure the level of plaque and tangles in the brain. Researchers also collected information on participants’ body mass index, levels of physical activity, diet and other lifestyle factors. Plaque, deposits of a toxic protein called beta-amyloid in the spaces between nerve cells in the brain; and tangles, knotted threads of the tau protein found within brain cells, are considered the key indicators of Alzheimer’s. “The fact that we could detect this influence of lifestyle at a molecular level before the beginning of serious memory problems surprised us,” said Dr. David Merrill, the lead author of the study, which appears in the September issue of the American Journal of Geriatric Psychiatry. 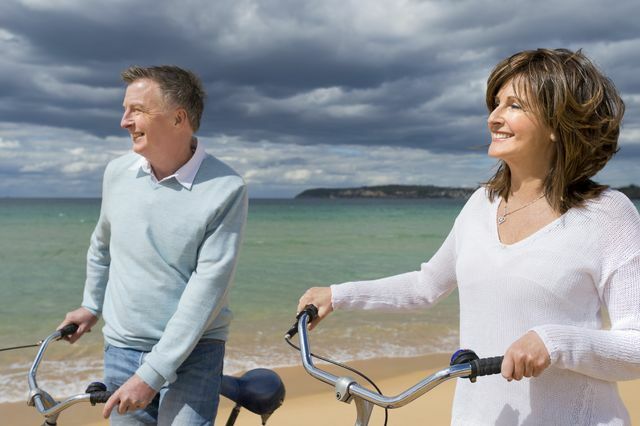 Earlier studies have linked a healthy lifestyle to delays in the onset of Alzheimer’s. However, the new study is the first to demonstrate how lifestyle factors directly influence abnormal proteins in people with subtle memory loss who have not yet been diagnosed with dementia, Merrill said. Healthy lifestyle factors also have been shown to be related to reduced shrinking of the brain and lower rates of atrophy in people with Alzheimer’s. Older age is the No. 1 non-modifiable risk factor for Alzheimer’s disease, which affects an estimated 5.2 million people in the United States and results in more than $200 billion in health care costs annually. The next step in the research will be to combine imaging with intervention studies of diet, exercise and other modifiable lifestyle factors, such as stress and cognitive health, Merrill said. Merrill sees patients with cognitive problems, particularly memory loss, at the UCLA Psychiatry Cognitive Health Clinic and Research Program. The research was funded by National Institutes of Health (MH077650, AT003480, P01-AG024831, AG13308, P50 AG 16570, MH/AG58156, AG10123 and M01-RR00865), the Department of Energy (DE-FC03-87-ER60615), the Larry L. Hillblom Foundation, the Fran and Ray Stark Foundation Fund for Alzheimer’s Disease Research, the Ahmanson Foundation, the Lovelace Foundation, the National Science Foundation, UCLA’s Claude D. Pepper Older Americans Independence Center funded by the National Institute on Aging (5P30AG028748), the American Federation of Aging Research, the John A. Hartford Foundation and the Centers of Excellence National Program, and the NIH/National Center for Advancing Translational Sciences UCLA CTSI (UL1TR000124).